At CGI in the Poconos, our goal is to offer your child a unique camping experience. We strive to make our program affordable and available for every child who wishes to participate. Our Financial Aid program provides assistance to families that are unable to pay the full tuition. The amount awarded is determined on the basis of need and the availability of funds. 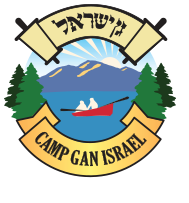 Please note that CGI in the Poconos’ Financial Aid Applications will not be considered without the deposit ($150 per camper week), which is fully refundable if CGI in the Poconos is unable to provide sufficient aid to facilitate attendance. If the deposit itself creates an obstacle, please call us at 845.425.0903 to discuss. Pay the $150 (per camper week) deposit via credit card or check (preferred). Once CGI in the Poconos receives your Enrollment Application, the Financial Aid Application will be sent to you. Please also inform us of any other scholarships that you are applying for. The deadline for the Financial Aid Application is March 31, 2019. Any Financial Aid Application received after March 31 will only be considered if scholarship funds are still available. The Financial Aid Application is not an application to enroll at CGI in the Poconos. You must first submit the CGI in the Poconos Enrollment Application, and you will then receive the Financial Aid Application. Our goal is to notify all applicants of the final status of their scholarship requests no later than April 30, 2019. If you do not receive enough financial aid, you can cancel your enrollment at CGI in the Poconos prior to June 1, 2019 and receive a total refund of all fees paid, including your deposit. CGI in the Poconos offers an interest-free payment plan payable by credit card. Simply check the “Payment Plan” box on the Enrollment Application, and we’ll contact you to arrange your payment plan. and is enrolled at Camp Gan Israel for at least a 2, 3, or 4 week session. We encourage you to check with your synagogue, Jewish Family and Children’s Services, Jewish Federation, or other local agencies that might provide assistance to help make camp more affordable. Most scholarships and grants require you to first register for a session at CGI in the Poconos. Your deposit is refundable until March 31, 2019, for any reason, and is refundable after that date if camp is not possible for financial reasons. Members of the PJ Library and residents of Washington, DC, Philadelphia, PA, and the state of Massachusetts, may be eligible for further incentive grants; please see the section above describing the One Happy Camper grants, and call us at 845.425.0903 for more information. Jewish Federations – Many local Jewish federations offer scholarship programs for Jewish camps. To find a Jewish Federation near you, click here. Regional Resources – Browse the Foundation for Jewish Camp’s online directory of needs-based scholarship at www.JewishCamp.org/Scholarships.